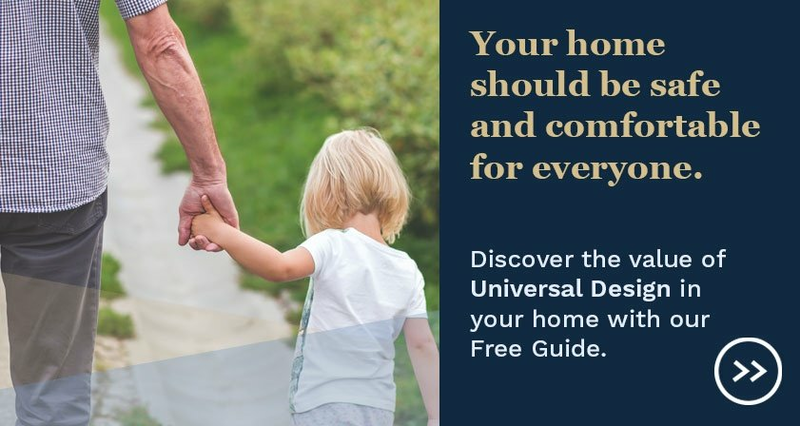 Whether you're planning for aging in place, or you just want your home to be more accessible, universal design concepts can be applied throughout your home. 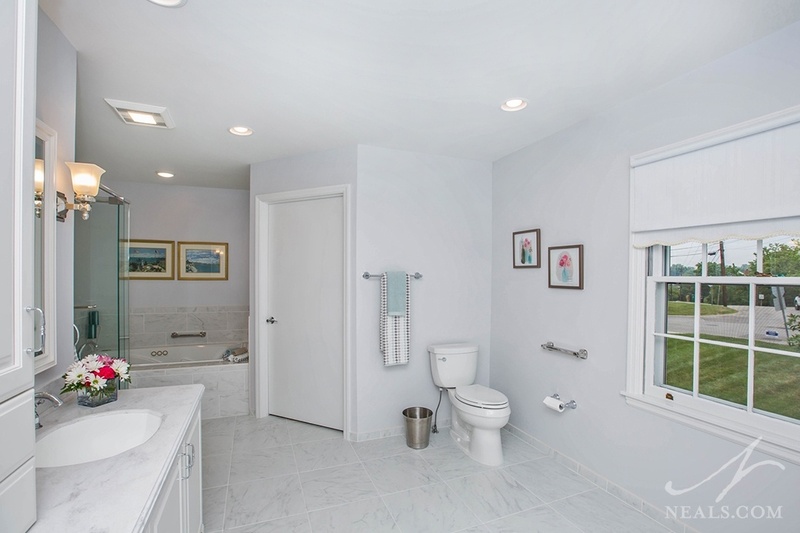 To get the most out of a universal design mindset in you home, not only should you look at major considerations in the kitchen and bath, but also pay attention to the ways in which those ideas can be applied to all areas of your home. Here are 4 Universal Design features that can make any room in your home “user friendly” for a lifetime. In this Loveland kitchen, the standard microwave was replaced with a microwave drawer placed in the island for easy access by all members of the family. Most appliances that are used often in the home (in the kitchen or in the laundry room) can be situated so that they can easily be accessed from a lower position. 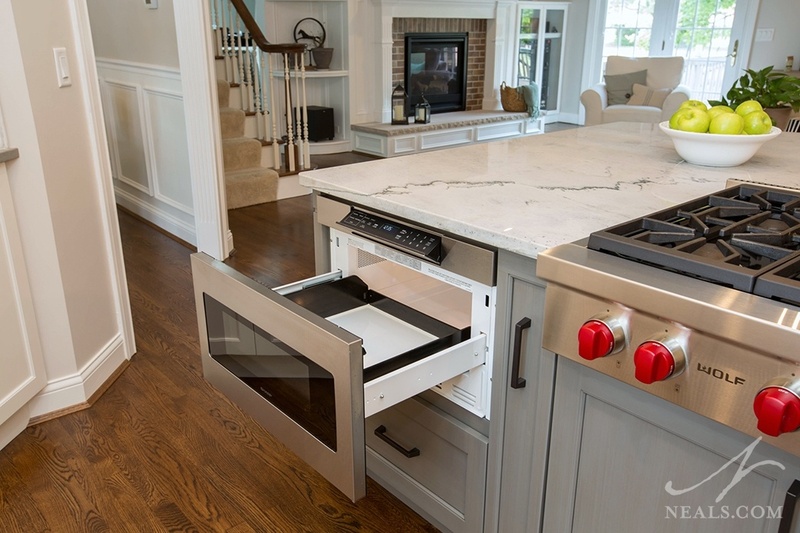 It's also important to look for ways that make using the appliance safer, such as mounting heavy mixers on pull-out units, or limiting the need bend over to get something into or out of the appliance. Outlets are also often overlooked but are an important item in any room. In kitchens, there should be an adequate number of outlets for small appliances. Use rocker switches that are easy to operate. Illuminated switches are preferable. Kitchen areas should have ample outlets for small appliances so that items do not have to be carried far to use. Within this lower level kitchen there is natural light that illuminates the room during the day, and task lighting over counter areas. 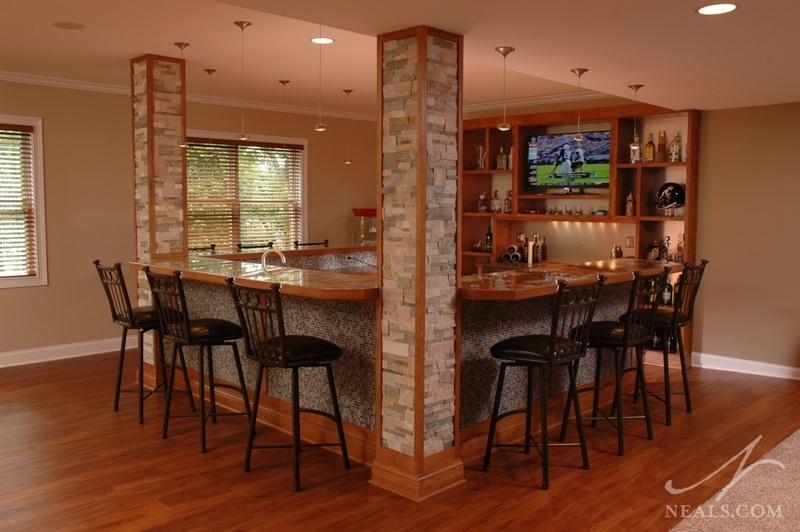 Bar shelves are also illuminated so that contents can be easily seen and for ambiance. When planning lighting consider including a variety of lighting options, including, natural, task and decorative lighting. Lights inside cabinets enable users to view contents more clearly. 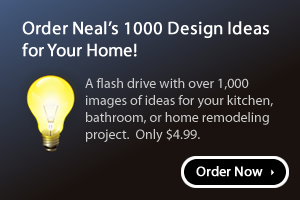 Use nightlights for safety in bedrooms, bathrooms and hallways if needed. Push on battery operated lights can be installed in stairways if you should lose electrical power for a period of time. 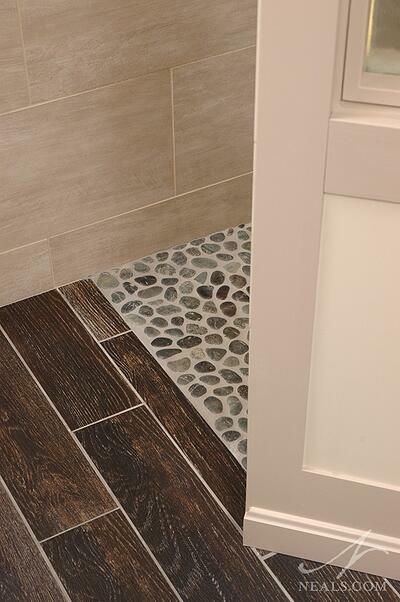 The two types of tile are matched at a threshold to create a level entryway from the bathroom into the shower. There should be few threshold transitions in flooring between spaces in the home to prevent trips and falls. There should be no more than a half inch variation in height where flooring meets in thresholds and edges should be beveled. The primary places these types of transitions occur are in entryways, in doorways between two rooms with different flooring, and walk-in showers. The wide open floor, large doors and open areas in this master bathroom is ideal for aging-in-place. Open floors plans, or those with wider hallways and doorways can be more accommodating for a person who uses a wheelchair as well as for hosting large gatherings. Interior hallways should be at least 42-to-46 inches in width. Doorways should be a minimum of 34-to-36 inches wide. Look for ways to increase the open floor space in smaller rooms, such as bedrooms or bathrooms.